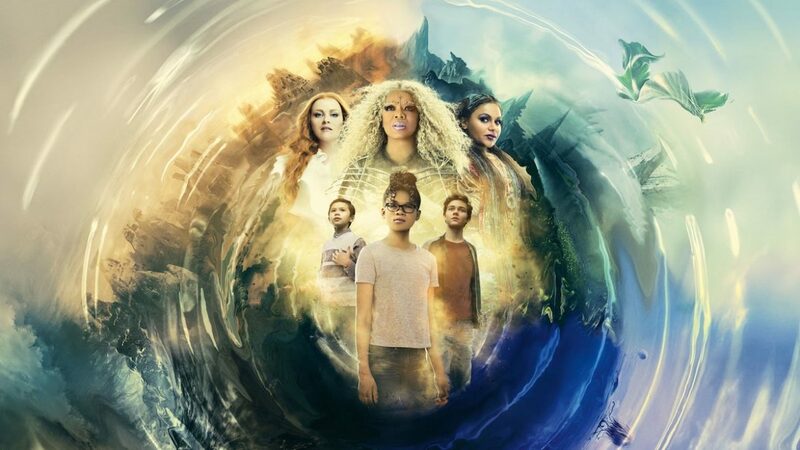 Disney’s A Wrinkle in Time pits insecure 13-year-old Meg (Storm Reid) and her 5-year-old genius brother Charles Wallace (Deric McCabe) against It — the universe’s dark, malevolent power holding their father prisoner. 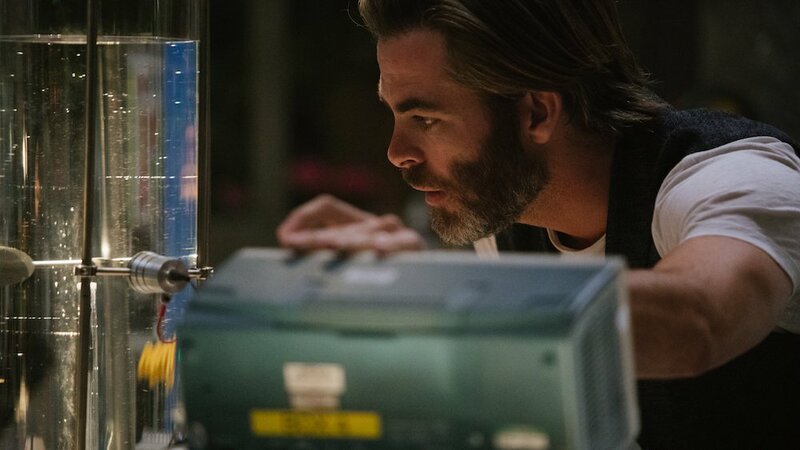 You see, four years ago physicist Dr. Alex Murry (Chris Pine) disappeared into another dimension. His loss affects Meg badly, and her little brother Charles tries to help, but Meg’s school and social lives suffer until she’s introduced to three supernatural warriors who offer to help the Murray siblings rescue their dad. This is Disney’s second attempt to translate Madeleine L’Engle’s science fantasy classic from 1962 to film. Their first attempt, in 2003, was made-for-television and more faithful to the source, but it failed to capture the public’s imagination. Undeterred by this failure, Disney have upped the ante, granting Selma director Ava DuVernay a larger budget ($106 million) with a starrier cast, this time destined for the big screen. The story is, and has always been, a problem for live-action cinema. 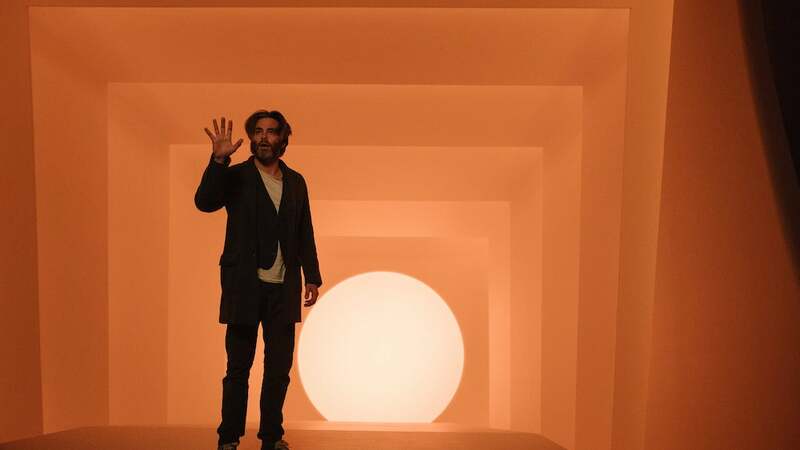 Filming original fantasy is challenging enough, but turning well known words and images into realistic visuals is bound to disappoint readers who imagined things very differently. 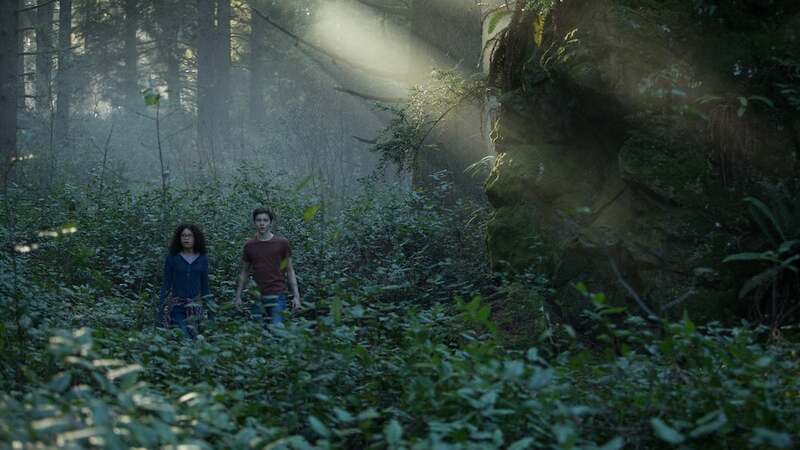 This adaptation departs further from the novel, eliminating two of Meg’s siblings and altering what is, in a way, the inciting incident of the story — Alex Murry’s disappearance. In the novel, it’s an accident. In this film it’s his choice to leave his family. 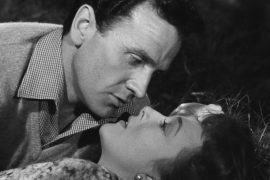 The film also departs from the novel’s theme. It’s still female-centric, with the plot revolving around young Meg, and the three intergalactic warriors are still women, but both Meg and her genius brother were active heroes in L’Engle’s book, whereas in DuVernay’s hands they’re quite passive. 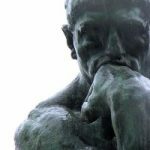 Their means of inter-dimensional travel is a mental exercise called a tesseract. (Considerably less interesting than Star Trek-style warp drive.) Book Meg’s an imperfect ‘tesseracter’, but film Meg’s utterly incapable, depending instead on the mystics to spirit her along. Book Charles tries to fight the It (voiced by David Oyelowo), while in the film the It lures him into choosing evil — represented by a black Rorschach-esque ink blot, which is considerably more effective than it sounds. The film’s also less concerned with the insecurities and everyday concerns of young teenage girls; social cliques, school pressures, being awkward, growing up during a difficult period of life. It barely establishes Meg’s problems before sending her off on her uninvolved adventure. Rather than the issues girls face growing, it’s more concerned with contemporary social issues — and adults. Adults? Yes, adults. Note whose visages appear on many of the most widely distributed press releases and posters: Oprah Winfrey (as Mrs. Which), Reese Witherspoon (as Mrs. Whatsit), and Mindy Kaling (as Mrs. Who). Nobody else. 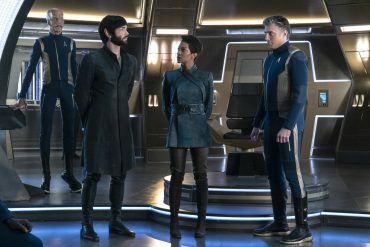 Other posters do include Storm Reid, but on the edge at a canted angle, while Chris Pine is barely visible within blinding light at the centre. One-sheet posters often mislead audiences, but not this time. This one is indicative. The child actors of a children’s story accrue less than 30-minutes of solo screen time. The other 79-minutes involve adults with the children, or just the adults. This seriously lopsided emphasis not only violates the novel’s spirit, it ruins the film for its target audience of prepubescent girls. Screen time’s not all that’s lopsided, as the realisation of the characters diminishes the youngsters. Whenever they share the screen with the big names, the story’s gravity shifts. In particular, once they’re joined by a 60-foot Oprah they essentially become props and she becomes the protagonist. Zach Galifianakis plays the Happy Medium, who guides our heroes to their captive father; while Michael Peña plays Red, an apparently human manifestation of the It that attempts to fool the Murrys. Their scenes are some of the best in the movie, as are those in the sequence portraying modern suburban life as a product of the It. 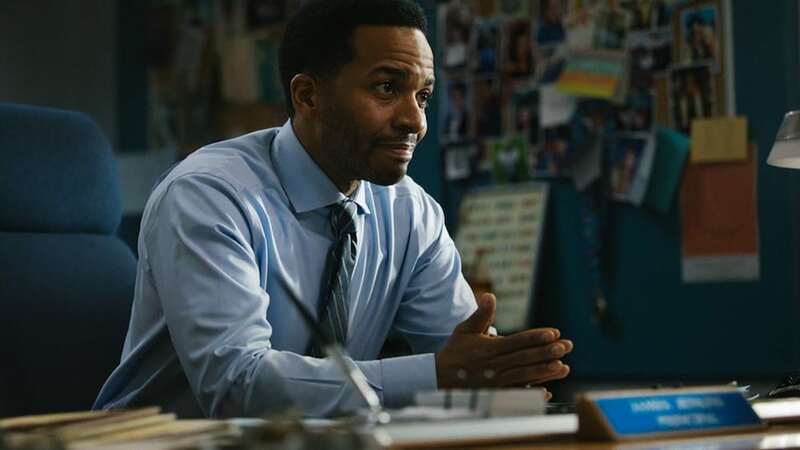 Still, entertaining or not, these adult roles should have been played by character actors, not recognisable Hollywood stars, whose presence distract and detract from what the teenage audience came to see: the teenagers. Disney has a history of trying to lure adults to a children’s movie by inserting famous people into stories designed to revolve entirely around kids. 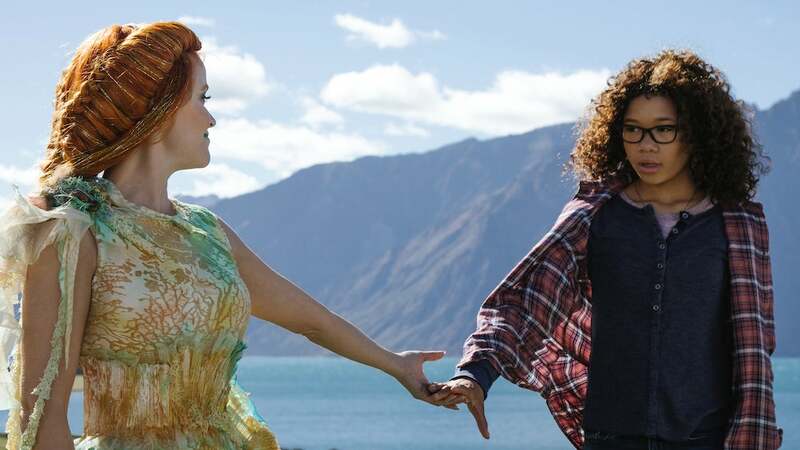 A Wrinkle in Time suffers from the same problem as Race to Witch Mountain; it’s a children’s fantasy based on a popular novel, full of colourful and imaginative images (also ridiculous costumes), with nonsensical action designed to play to children’s fears, anxieties, and imaginations…. that has been cynically hijacked by the grownups. So while the aged-up story kills children’s interest in what’s going on with the young protagonists, the simplistic plot and fanciful imagery won’t appeal to the adults. A Wrinkle in Time is more a wrinkle in storytelling; a $106 million mistake that’ll please nobody. writers: Jennifer Lee & Jeff Stockwell. 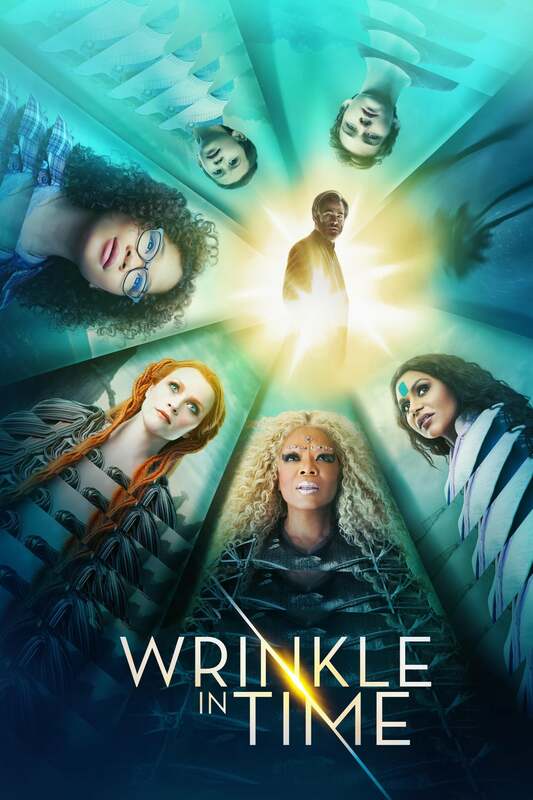 starring: Storm Reid, Oprah Winfrey, Reese Witherspoon, Mindy Kaling, Zach Galifianakis, Chris Pine, Gugu Mbatha-Raw, Levi Miller, Michael Peña & Deric McCabe.